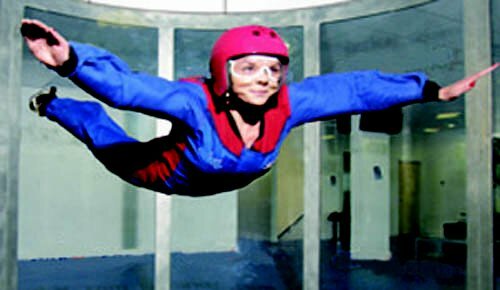 The closest skydiving to London that is available Skydiving London is the new web name of London Parachute School. 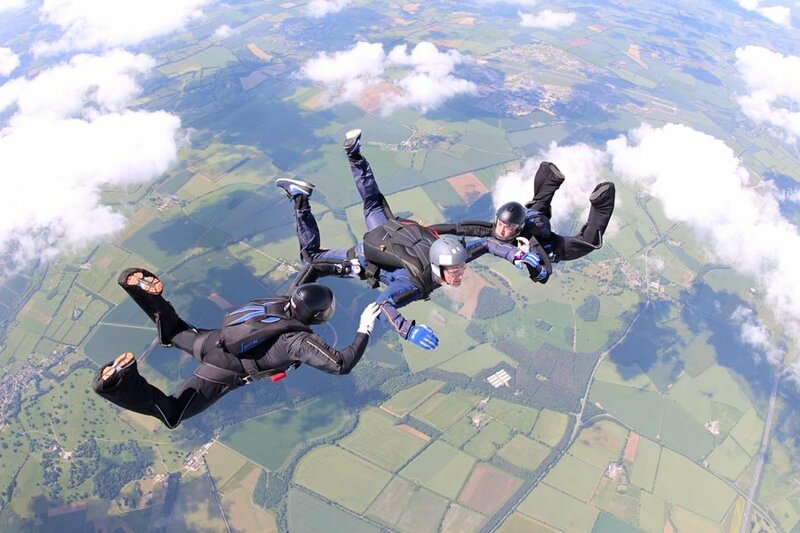 Skydiving 30 minutes from London just outside Reading. Tandem Skydiving is the fastest way to experience the thrill we get every time we step out of the plane. A one day experience with all training and equipment included - oh and the Tandem Skydive Instructor of course. Fund raising for the charity of your choice. Skydiving is the ultimate fund raising vehicle for charity. 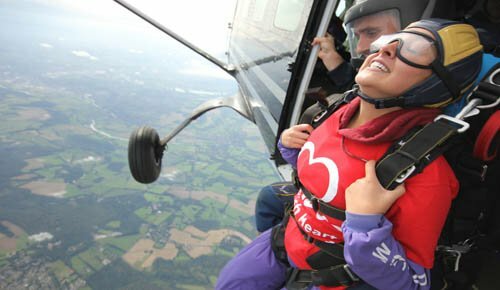 Support an organisation close to your heart, and get the thrill ride of your life raising money for your cause. 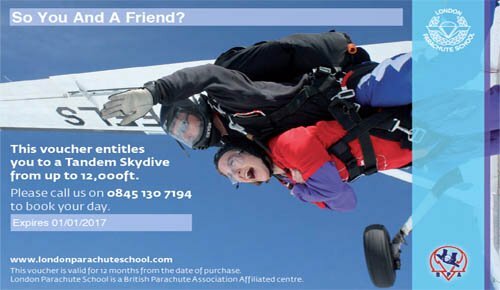 Our Skydiving Experience Gift Vouchers are valid for 12 months from date of purchase. Why not surprise someone with the adrenaline gift of a lifetime! and tick it off of their bucket list. 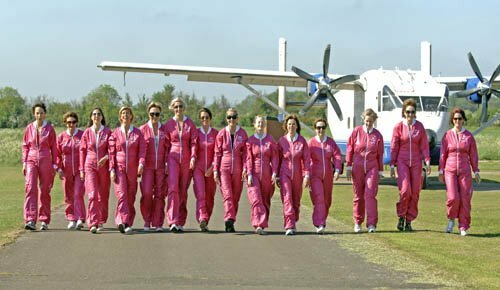 Skydive Centre Ltd is a company Limited by Guarantee. That means that we are a not for profit company. We do not have shareholders to pay dividends. We exist with the sole aim of getting all of you to go skydiving. 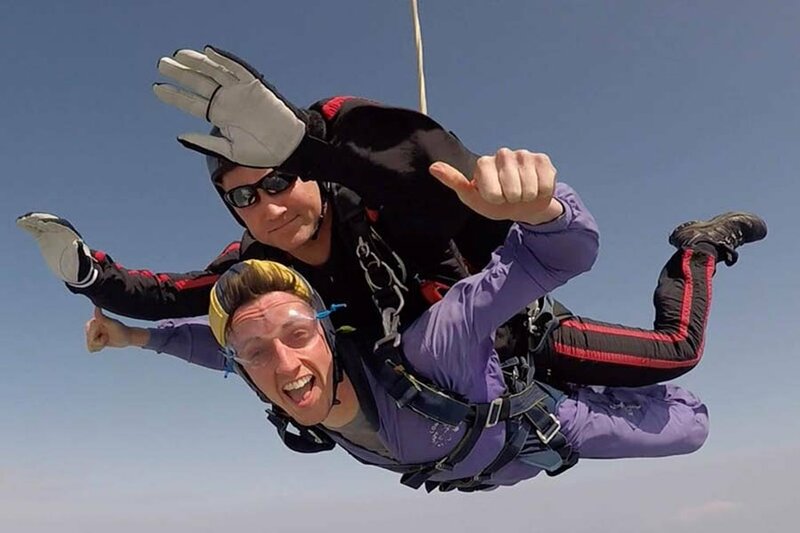 We have operated as London Parachute School for over 20 years and are a not for profit, so anything we make goes back in or to supporting our charity skydiving programme. 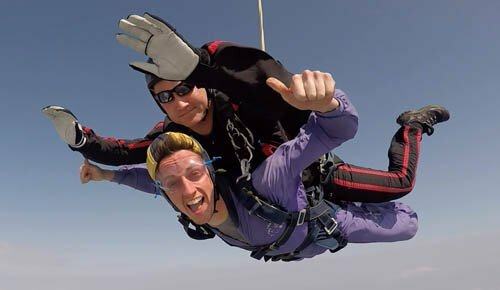 Every member of staff must skydive, so when we talk to you its from direct experience, not just someone selling you a ride. All we do is skydiving. No other activities or interests are covered so it is our sole focus. As all we do is skydive, you can be sure we are safe doing it. So learning how, raising money for a charity or just for the bucket list. 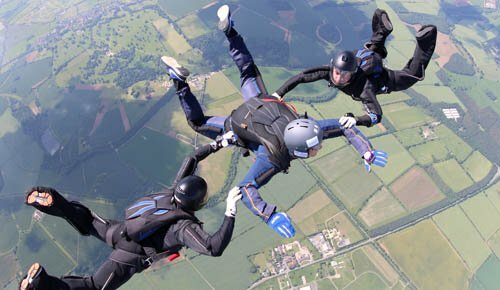 There are many skydiving centres (Parachute Training Organisations) in the UK which offer jumping courses, so why should you choose Skydiving London? 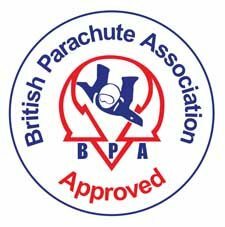 We are a British Parachute Association affiliated centre. This means we operate our centre to the highest standards in safety. It is a well known fact that to become a parachuting instructor under the BPA, you have to pass the hardest instructional system in the world. We unashamedly say we have the best instructors in the UK, full time skydivers who know what to do, when to do it and how to do it. Ensuring that you are comfortable and safe at every part of your skydiving experience. Skydiving London is located on the outskirts of Reading just 45 minutes from London and Birmingham, and 100 minutes from Bristol. Reading has a main line rail station with easy access from London Paddington and the South of England. Skydiving London is a short taxi journey (10 mins) from the station.